Ghirardelli chocolate, pistachios, and three types of cherries...Yum!! Place chocolate in a microwave-safe bowl, cover with wax paper, and cook on high 1 to 2 minutes or until melted, stirring every 30 seconds. Spread melted chocolate on large baking sheet covered with parchment paper. 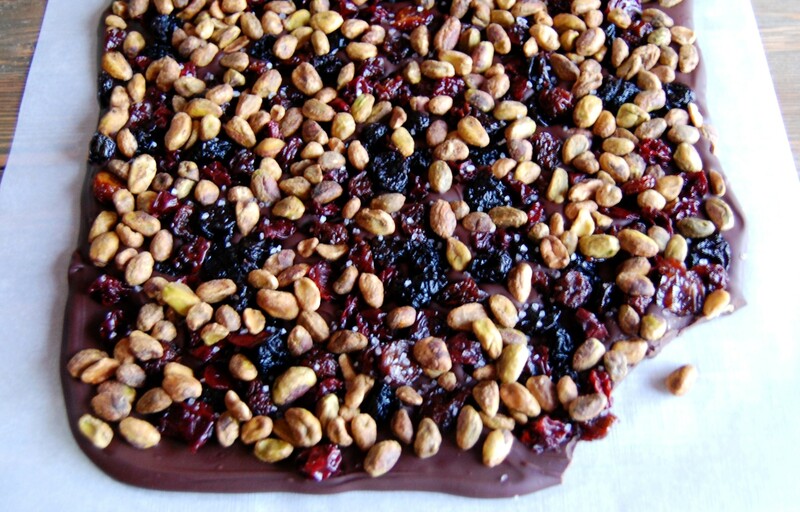 Sprinkle pistachios and dried cherries evenly over chocolate. 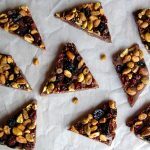 Sprinkle sea salt over nuts and cherries. Refrigerate 1 hour or until firm. Break bark into pieces. Store bark in a tightly sealed container in refrigerator for up to 1 month. Pack in decorative boxes or tins lined with wax tissue paper or colored cellophane for gift giving.